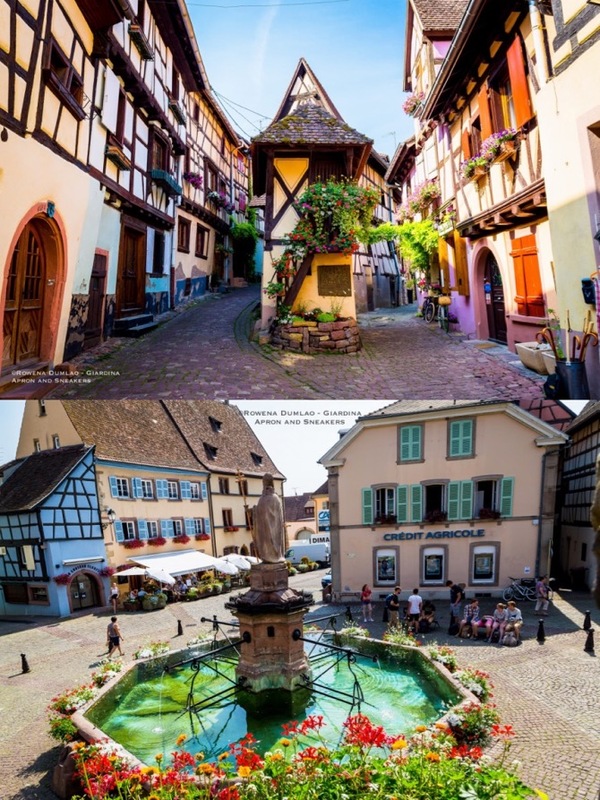 Eguisheim was voted the Village Préféré des Français (Favorite French village), an annual distinction given to different towns all over France. 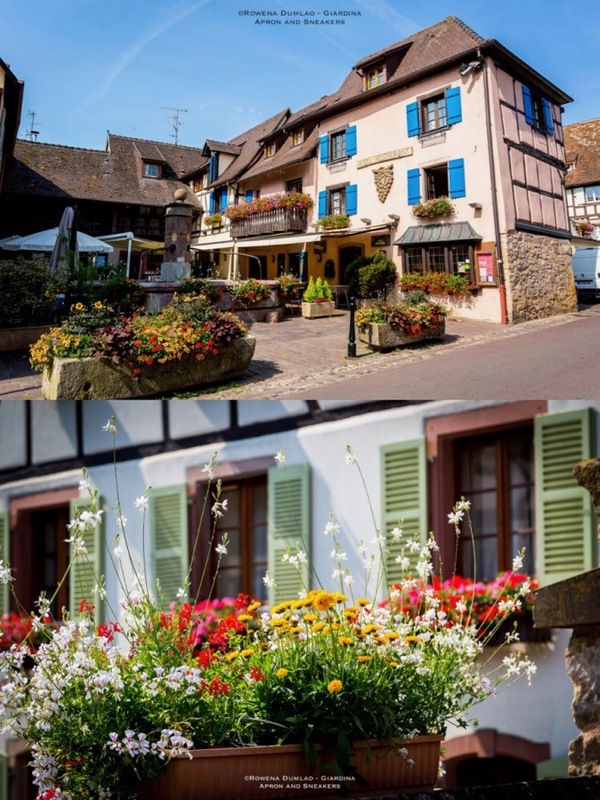 It is also a member of the association of the Les Plus Beaux Villages de France (The Most Beautiful Villages of France). 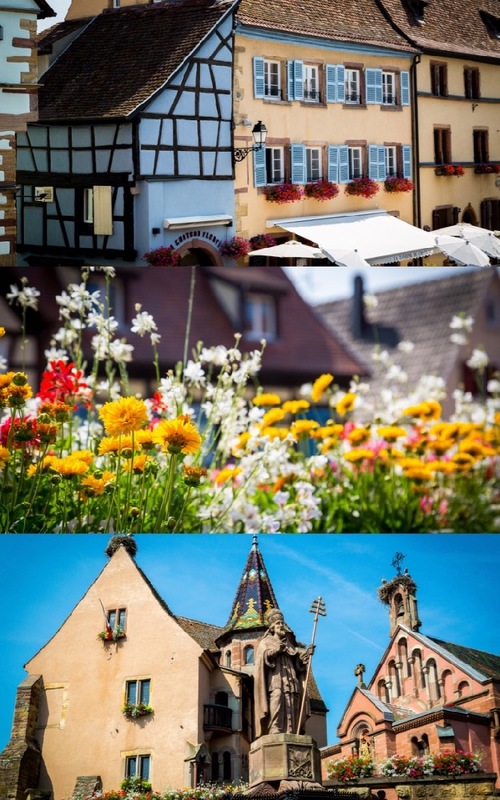 As for its grand effort in adorning the town with flowers, it also holds the prestigious 4-star Ville Fleuri Award, the highest that can be attained. The current settlement in the village started in the 11th century after the castle was built. 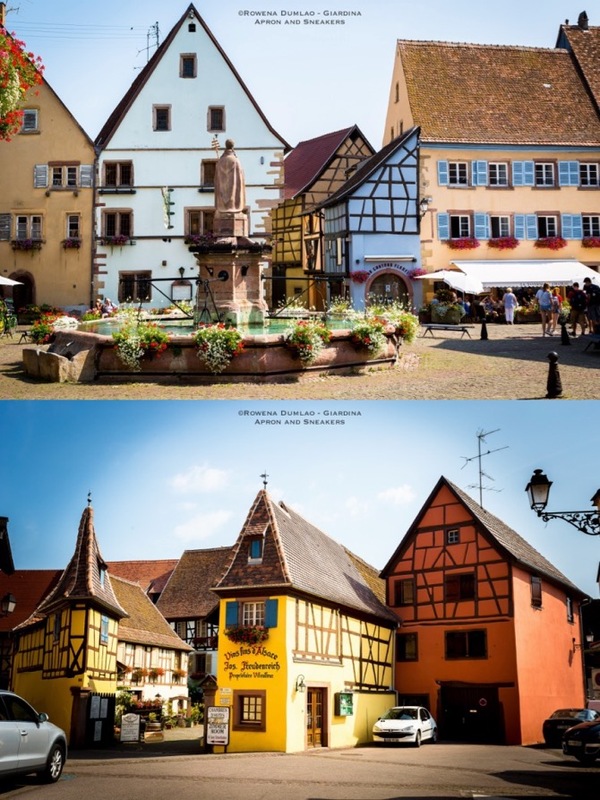 Perhaps like the judges who splashed all these accords to Eguisheim, I was also charmed by this dreamy medieval town. In one side street, Rue du Rempart Sud, you can see an old dovecoat standing so beautifully in the middle of the small street. Its little wooden staircase is swathed with flowers. Moving forward towards the center of the town, the Place du Chateau is the main square with a flower-covered water fountain, chateau and church. 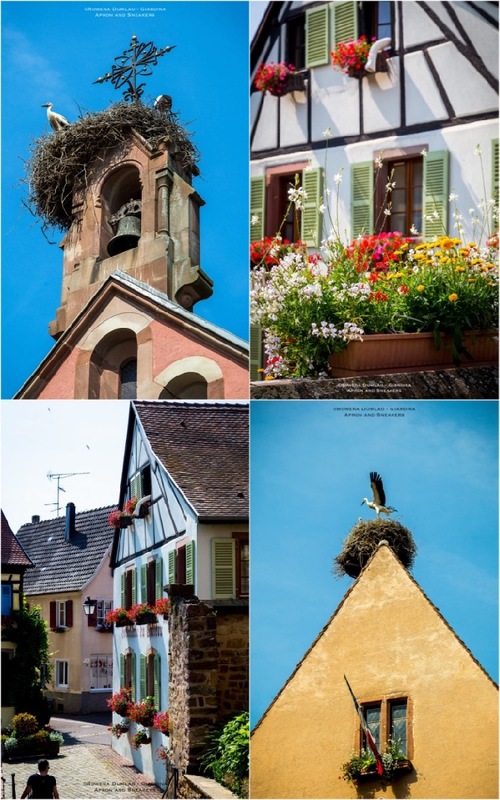 With luck, there were also a couple of large nests of storks on the pointed rooftops of the chateau and the church's bell tower. 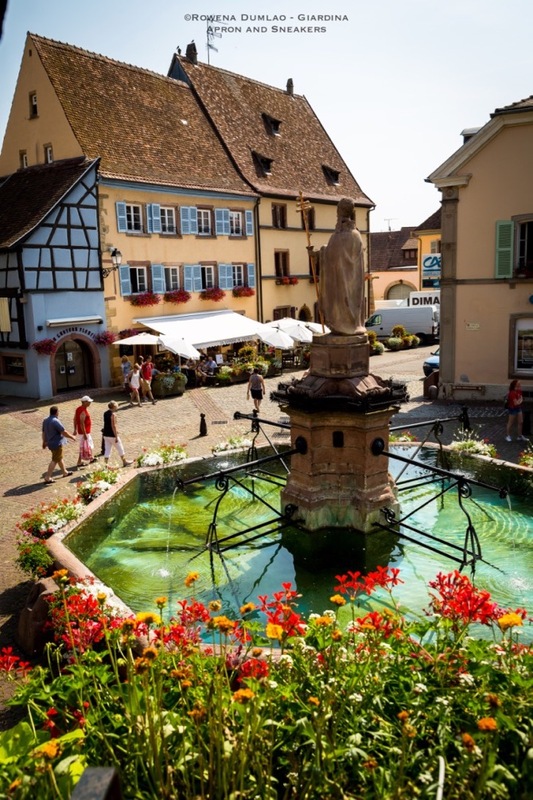 The cultivation of wines in Eguisheim was introduced by the Ancient Romans after they conquered the town from the Gauls. 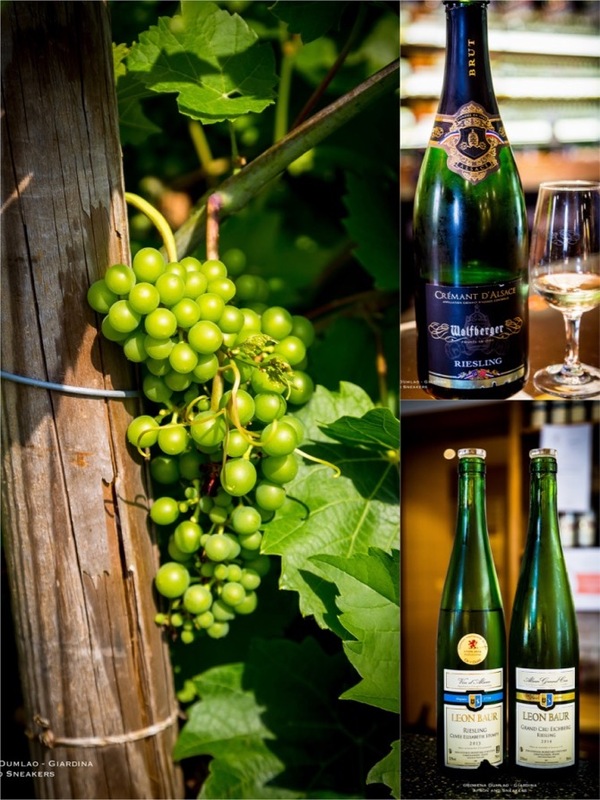 It remained an important producer of quality wines in the Alsace region where it's a part of the Alsace Wine Route. 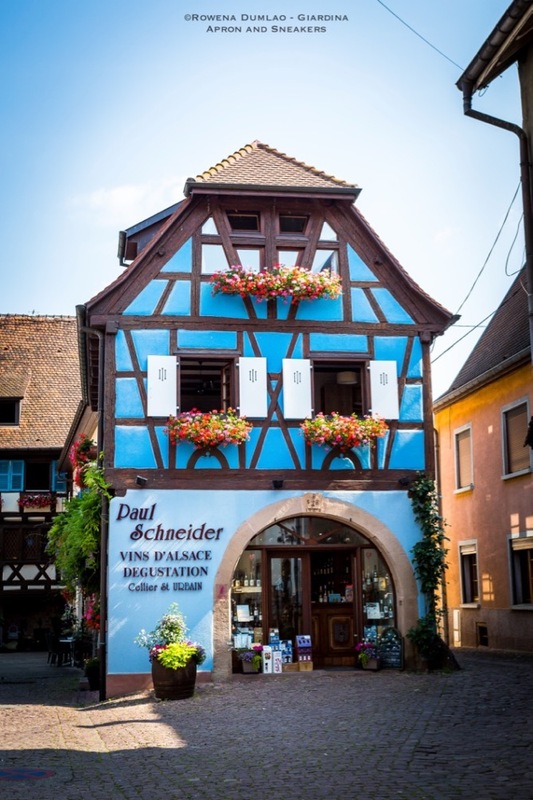 Among the medieval half-timbered houses, you can find the shops of the wine producers where you can taste and buy the wines. There are 33 wine producers in Eguisheim with two very good Grand Crus Eichberg and Pfersigberg. 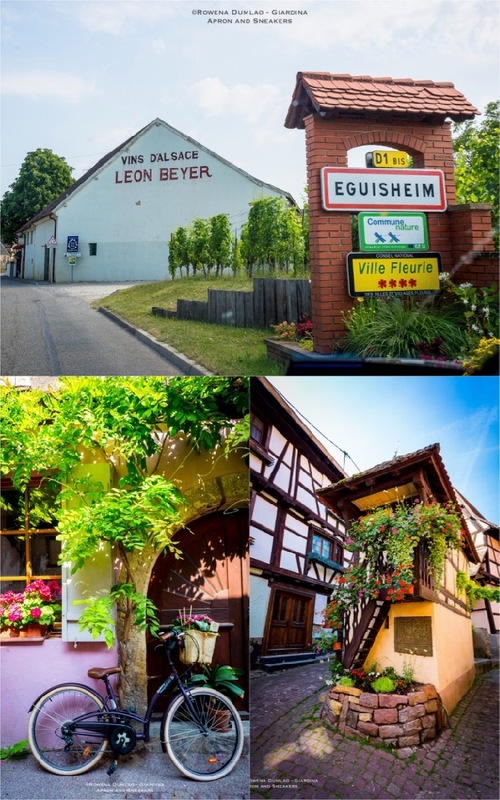 The village is also known for excellent Crémant d'Alsace, both rosè and white, made with the varietals of the Alsace region to which Chardonnay is sometimes added. 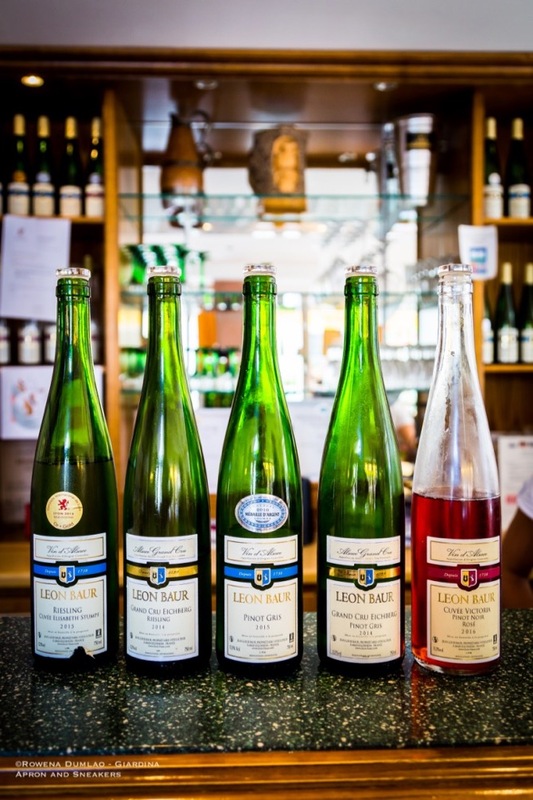 The Riesling, Pinot Gris, Pinot Blanc, Sylvaner, Muscat d'Alsace, Gewurztraminer and Pinot Noir adapt outstandingly to in the Alsatian terroir. I find the Riesling variety expresses itself well in the terroir of Eguisheim while the Grand Crus Eichberg and Pfersigberg are outstanding with the varieties Riesling, Pinot Gris and Gewurztraminer. With just a couple of hours in the morning to spend in Eguisheim, there were only two producers that I was able to visit that I chose at random. 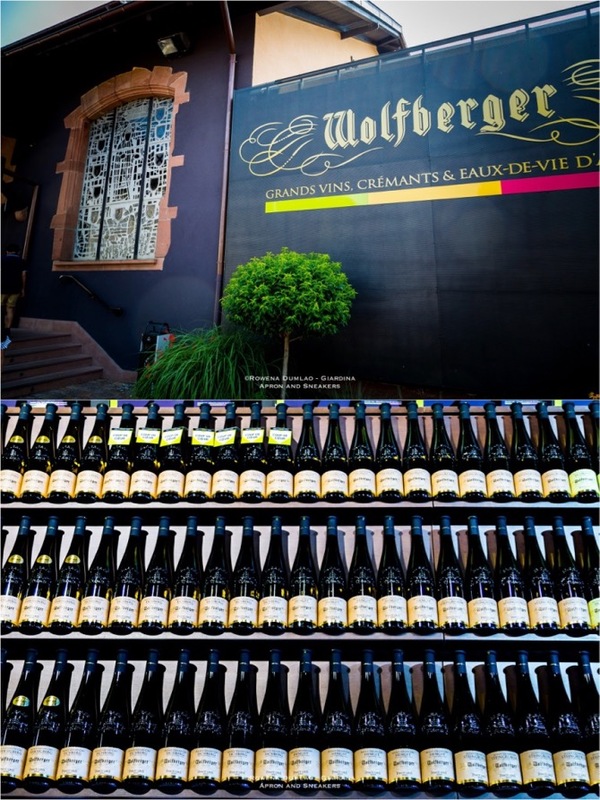 Wolfberger Winery (6 Grand Rue, 68420 Eguisheim; Tel: +33 389222020) is a big cooperative that was established in 1902 by the winegrowers of the Eguisheim village. Now, the number of members has grown into a 450 winegrowers working together to take out the best of the quality and typicity of the wines of Alsace. 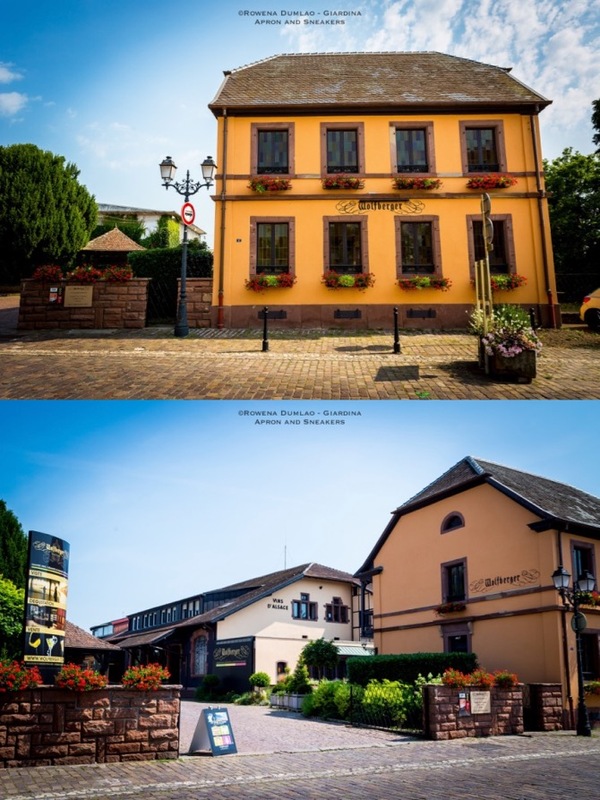 The large Wolfberger historic cellar is located at the beginning of the town where it is possible to taste and purchase their wines. Their excellent wines have lots of expressive characteristics. It's hard to choose which one's the best but if you are a Riesling lover like I am, I suggest these couple to try (and take home too) - Riesling Grand Cru Pfersigberg and Riesling Grand Cru Steingrubler. A second one I visited was Maison Léon Baur (22 Rue du Rempart Nord, 68420 Eguisheim; Tel: +33 389417913). Maison Léon Baur is a family-owned winery that has gone through 9 generations from its foundation in 1738 by Jean-Louis Baur and his daughter Caroline. At present, the maison has 10 hectares of vineyards, 3 of which are in the Grand Crus Eichberg and Pfersigberg. I find their wines, which won innumerable awards, very expressive to the nose and the palate with pleasurable freshness and notes citrus and floral notes. 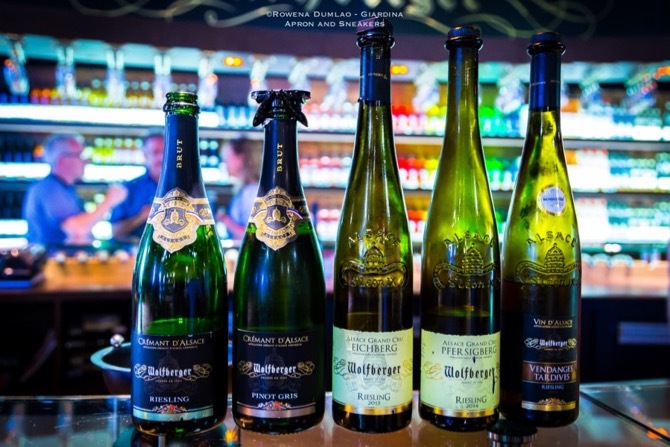 I was impressed by the Riesling Cuvèe Elizabeth Stumpf which won a gold award in the Concours International de Lyon 2016, and the Pinot Gris which won the silver medal in the Concours des Vins d'Alsace de Colmar 2016, and Pinot Gris Grand Cru Eichberg.